Chelsea and Sarri-Ball continue to unravel as they suffer another away loss against a team playing with a diamond midfield. Last time, we witnessed Tottenham playing the 4-4-2 with a narrow midfield and the Blues were undone at Wembley. Something similar was seen yesterday when Unai Emery deployed the same shape and Maurizio Sarri’s men never looked comfortable against an aggressive Arsenal side. As a result of yesterday’s defeat, Chelsea are now just three points ahead in the top four race, with the Gunners and Manchester United chasing their tails rigorously. Below we will analyse as to how/why Sarri’s 4-3-3 system look disjointed when up against a high-pressing 4-4-2 (diamond midfield) team. Jorginho was the player who epitomised this system at Napoli – in that defensive midfield position. The Italian was the first person to take the ball from the centre-backs and then release the first pass towards the other midfielders, or the front men making forward runs. He accompanied Sarri to Chelsea and the same thing is tried here. However, the ploy is getting caught up now. The teams in the Premier League, especially the big guns, have understood the fact that stopping Jorginho would mean closing the door of their build-up play. Hence, we saw Mauricio Pochettino playing a 4-4-2 diamond system with Dele Alli as a number 10 virtually man-marking the aforementioned defensive midfielder. The two strikers Harry Kane and Son Heung-Min occupying the centre-backs in a high press. As an effect, Chelsea were either sloppy in possession or had to punt the ball forward without any structure. What it does is nullify the positioning and impact of the other two midfielders – generally N’Golo Kante and Mateo Kovacic. Whenever they get the ball, the press is so high that the only option is to try to pass through it and risk losing possession, or just play a long ball. We saw Arsenal starting the game rapidly yesterday with a similar tactic and Chelsea had no answer to it. This time, it was Aaron Ramsey who had the role of following Jorginho and stopping the Blues playing out from the back. The strikers Alexandre Lacazette and Pierre-Emerick Aubameyang worked extremely hard to press the centre-backs. The above image shows everything that’s been explained. The two strikers are concentrating on not allowing the centre-backs an easy way out, with the number 10 tightly marking Jorginho. Furthermore, the other midfielders Kovacic and Kante are being outnumbered. And just because the ball is not being allowed to shift, fullbacks Cesar Azpilicueta and Marcos Alonso are out of the picture. Thus, the sloppy possession trait was on show again from Sarri’s men in the first half. They eventually lost two goals in that half, and from there on, the game was all but done. There have been questions whether Jorginho should be moved into a different position and Kante to be brought to his original defensive midfield role. But, Sarri has been adamant with his philosophy and has rejected these queries about the change in player-positioning. Something needs to be done regarding this, or we might see big teams targeting the manager’s main man and Chelsea might end up being non-existent in games on a regular basis. The Blues have an away game at Manchester City soon, and if they perform as they did in the first half yesterday, the Cityzens could have a field day. As we saw in the image above, the struggles of Chelsea not being able to get out of their own half while playing out from the back. The other problem is not having a striker up front. Eden Hazard started as a false nine yesterday, and Alvaro Morata was the one against Spurs. While the former is at his best when playing on the left, the latter wasn’t good enough to cause any trouble to the centre-backs few weeks ago. As a result, neither the centre-backs nor keeper Kepa had an option to play long and expect the attack to take shape. Any defender will have an easy day out when long balls are played towards Hazard. This is where the Blues lack a physical presence up front. Sarri got it wrong by not starting Olivier Giroud up front, who could have battled with the centre-backs and hold the ball to bring others into play. This ploy would have completely nullified the pressing tactic of the opposition. The manager needs to sort this situation out, otherwise, the goal scoring might dry further. 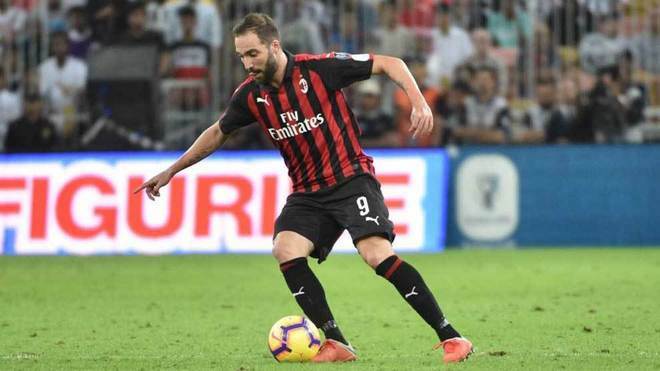 It is reported that Gonzalo Higuain could join Chelsea as early as next week, and the Argentine won’t come sooner to the team. He has the ability to make channel runs, battle with the centre-backs physically and overall, be an outlet for the ball over the top. While that could solve few of their problems, the midfield issue will still remain the case. Jorginho is a fantastic player but becomes average when pressed. This is where Kante is at his best because of his dynamism. Whether Sarri bulges from his philosophy and fields the Frenchman in his favoured position remains to be seen. Copyright © 2019 Spobits. All Rights Reserved.